Breakfast is something I perpetually have to plan for. I am not a morning person, so the thought of getting up earlier than I have to to cook eggs and bacon, well that’s a nice thought and all, but it will never happen during the week. And trying to get a really healthy, homemade breakfast in fast, can be difficult. Our standards are homemade yogurt with toppings (jam/honey/fruit, nuts, granola, etc. ), homemade bread with almond butter, jam, or cinnamon butter and honey, overnight steel cut oats, smoothies (almond butter, banana, and milk is our fave! ), and muffins. I have gotten in the habit of making a batch of muffins on Sunday and then freezing them. We take them out in the morning and throw them in the microwave for 30 seconds to a minute and enjoy hot, homemade muffins for breakfast. This is by far, the best, most nutritious recipe I have tried. It only has 1/4 cup of brown sugar. It uses both oats and whole wheat flour AND it’s just a template so you can add whatever your heart desires. The only downside is that the recipe does take some preparation. 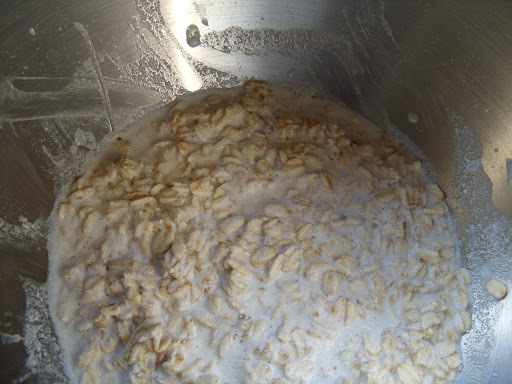 It calls for the oats to be soaked in buttermilk (or soured milk) for an hour before cooking time. This requires some planning, but the rest of the recipe comes together in 5 minutes. Combine milk and oats in a large bowl and let stand one hour. Preheat oven to 375 degrees. 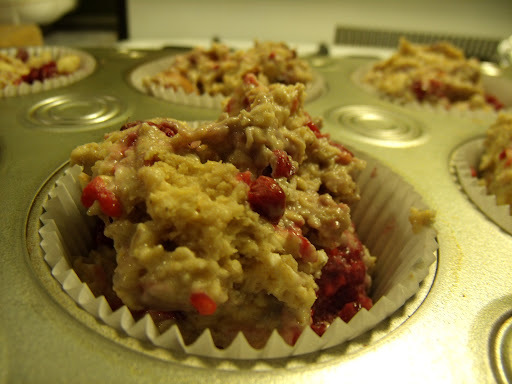 Grease a 12-cup muffin tin and line with cupcake papers. Crack the egg into the oats; add brown sugar and mix to combine. Stir in melted butter and vanilla. Sift remaining ingredients into the bowl: flour, salt, baking powder, baking soda, and spices. 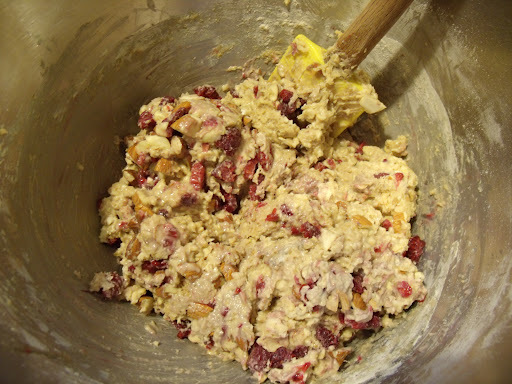 Gently fold into batter, taking care no to over mix. Sprinkle add-ins and additional flavorings and combine gently. Bake until light brown on top and muffins spring back when gently touched, about 10-12 minutes. This will take longer is you use fresh or frozen fruit additions. * I keep a few out fresh but then I fit 9 into a large, freezer ziploc bag and throw it into the freezer. Pop in the microwave for 30 seconds in the morning and enjoy a tasty, warm muffin for an easy breakfast! This entry was posted in baking, breakfast by callywoodfarms. Bookmark the permalink.